My lipgloss drawer is filled to the brim -- actually, it's pretty much overflowing at the moment. I'm always having to move tubes around inside to get it to close properly. That's definitely a sign that you have a gloss problem right? 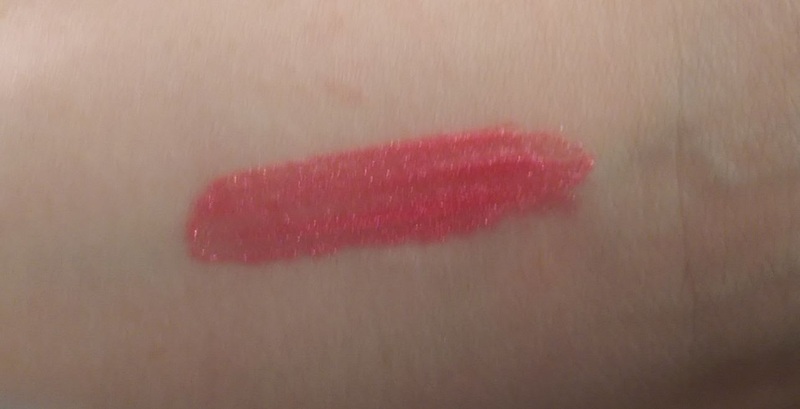 But that didn't stop me from picking up one of the CoverGirl Colorlicious Lip Lavas when I was at the drugstore recently. In my defense, I could see them sparkling like crazy in their display even a good three or four feet away -- and as big a weakness as I have for makeup in general, my weakness for sparkly makeup is off the charts. So I kind of wanted to pick up all of the shades -- I believe that there are 10 in total -- even though there are a few I probably wouldn't wear too often, but I was good and only purchased one, Lychee Lava. 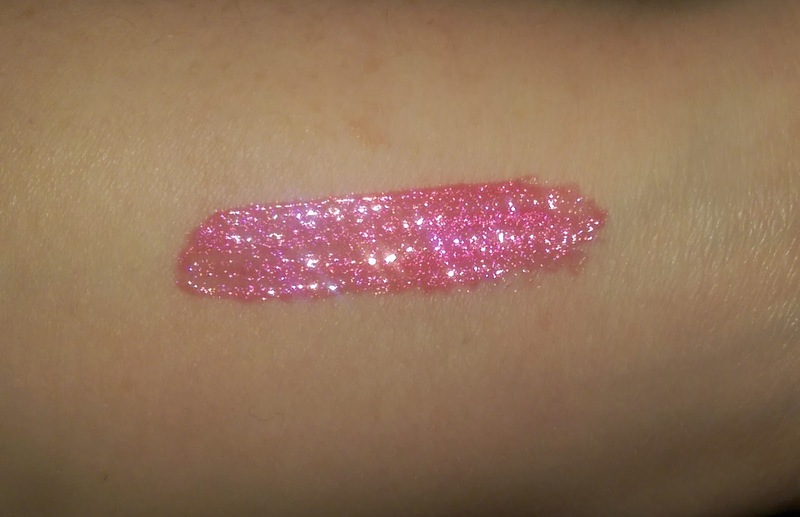 Lychee Lava is a reddish pink with pink and purple micro-glitter throughout. CoverGirl describes the Lip Lavas as a hybrid product that combines "rich color of a lipstick and the high shine of a gloss." But while they are pretty pigmented for a gloss -- you can totally wear them on their own -- they aren't a liquid lipstick like product. There's still a sheerness to them, which is probably a good thing given how sparkly they are. And that's really what I love best about the Lip Lava formula -- it is chock full of shimmery goodness. 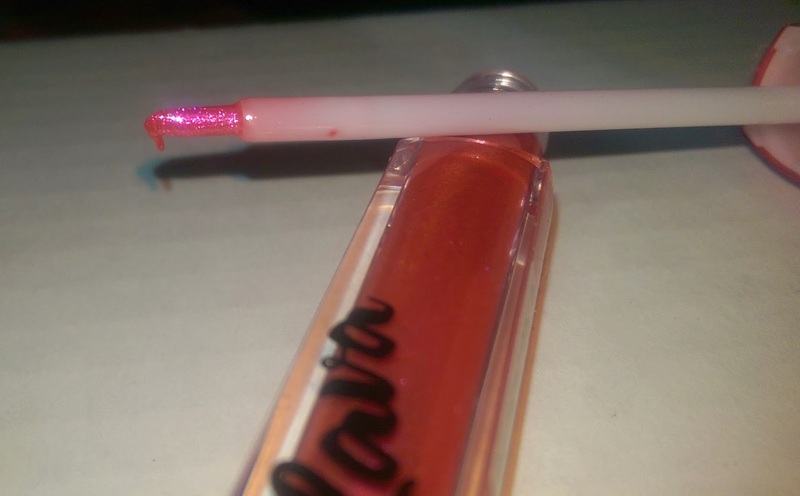 I think the only other glosses I have that are as sparkly are the MAC Dazzleglasses, but the Lip Lava actually feels a lot smoother. There's no grittiness or stickiness to them at all. The one thing I'm not crazy about with these lip glosses is the scent -- it's kind of plastic-y, I guess. But it wears off after a few minutes and then there's really no noticeable scent. I definitely want to pick up a couple more, Probably the nudish shade and one of the brighter colors too. You can find these glosses at CVS, Walgreen's, Target, and anywhere else that you can purchase CoverGirl products. They retail for about $7.99. Have you tried the CoverGirl Colorlicious Lip Lavas? Which shade is your favorite?